Here is the card we made at a tonight's Stampin' Up home class. This guy is just too cute. 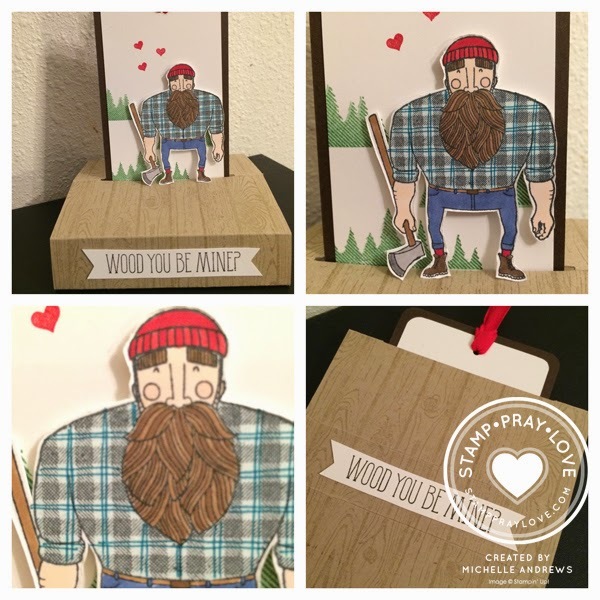 He is in one of the Valentine's Day sets in the NEW Occasions catalog called 'Wood you be mine?'. The card is a free standing pop up card. I found the instructions on how to make one HERE. I used the fine end of my marker to make these extra lines on his shirt. In the final picture you can see how the card lays flat for mailing. Thank you for the best tutorial.. I found some Valentine pop-up card on http://popupcard.net. If you want to find a pop-up cards supplier, dont forget them.